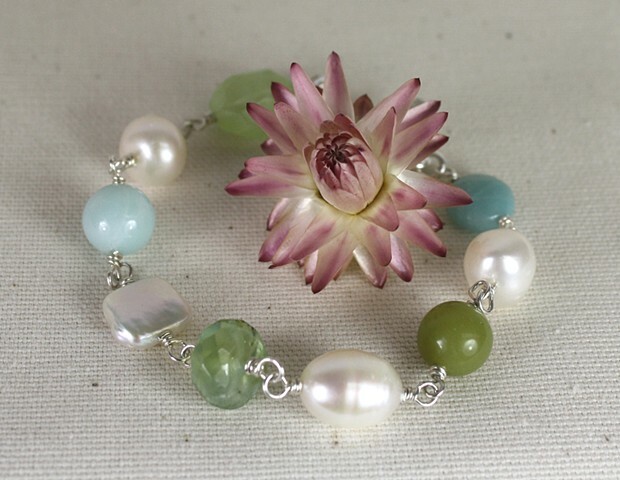 Amazonite, prehnite, olive jade and fresh water pearls in interesting shapes link this best seller. Fine silver toggle closure. Approx. 7 3/4"